So far in the 2018/2019 season, Nikolaos Marinakis competed in 22 fixtures. Since Nikolaos Marinakis came into world in 1993, to be more precise September 12th, the defender is one year older than Panaitolikos'' average player. He is a right footer just as 82% of Panaitolikos. 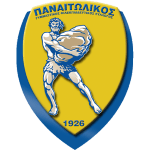 Nikolaos Marinakis is a male defender from Greece, who has been playing for Panaitolikos in Greece since July 1, 2017. 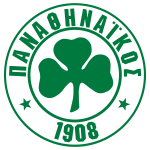 In Super League (Greece), Panaitolikos is in seventh position and in Greece Cup (Greece) of group Gr. 3 they are in third place. Measuring 180cm, Panaitolikos'' average player height matches the one of Nikolaos Marinakis. He impressed in Super League 17/18 (Greece), reaching his personal record of match appearances. He was contracted to a few clubs during his professional career, one of them being Panathinaikos Athens, for whom he played before coming to Greece. Nikolaos Marinakis wears the number 21 strip at Panaitolikos. From his professional start until now, he has performed in 120 matches in total and hindermost appeared eight days ago. On average, he has participated in 9.2 matches per season. His shortest stay in a club was four months in Niki Volou (Greece). While being substituted more out than in this season, we can observe that this trend came from last season. However, Nikolaos Marinakis shows 14 out and 18 in substitutions in total. Weighing 165.35lb, he measures 4lb more than the average player on Panaitolikos. His portfolio includes one accidental own goal, which happened with Panaitolikos in a match of Super League 18/19 (Greece).